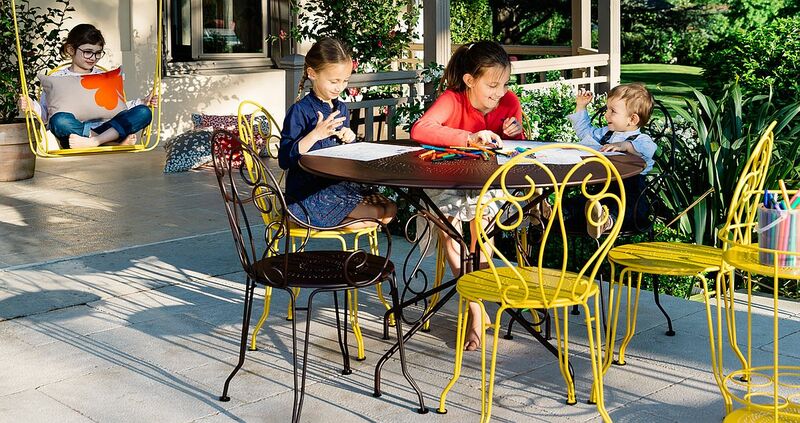 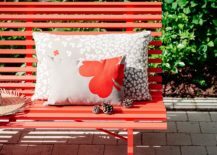 The bright and sunny days of summer might already be giving way to the changing colors of fall, but the world outside is still warm enough to enjoy a fun-filled day in the sun. 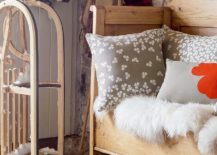 And this is bound to continue till early winter forces us all indoors with its chilly gust. 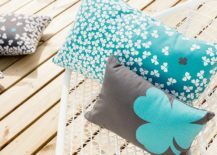 Until that time arrives, it is the poolside deck, lovely patio, small backyard garden that becomes our reclusive refuge and having the right outdoor décor makes them even more amazing. 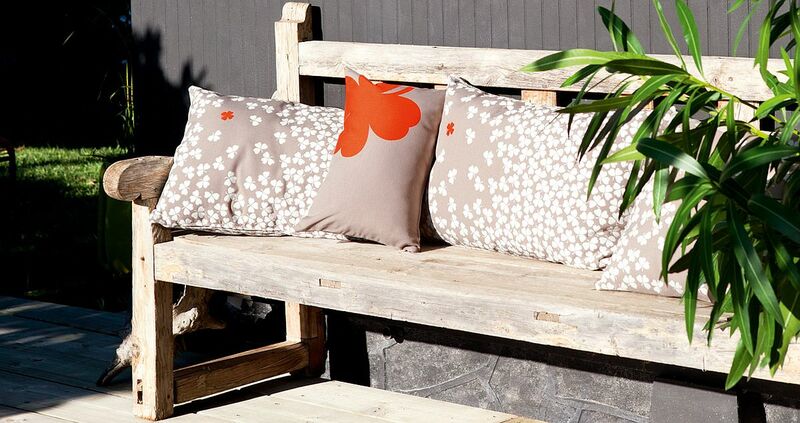 Decorative outdoor cushions can transform even the smallest nook into a relaxing hangout where friends and family can come together with ease. 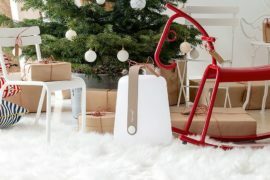 Trefle from Fermob fits this billing perfectly! 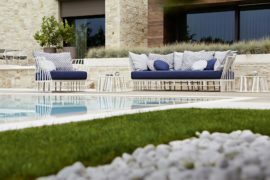 The Trefle Collection is as much about functionality as it is about visual brilliance as these fabulous outdoor cushions are crafted using weather-resistant and embossed Jacquard fabric. 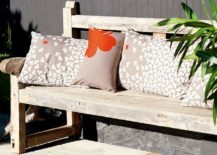 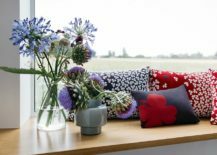 Keeping out tough stains, water, UV rays and mould, each of these cushions has been crafted to stand the test of time and the vagaries of changing seasons. 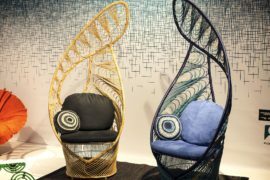 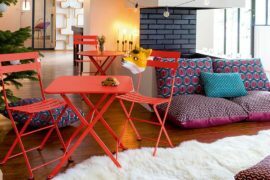 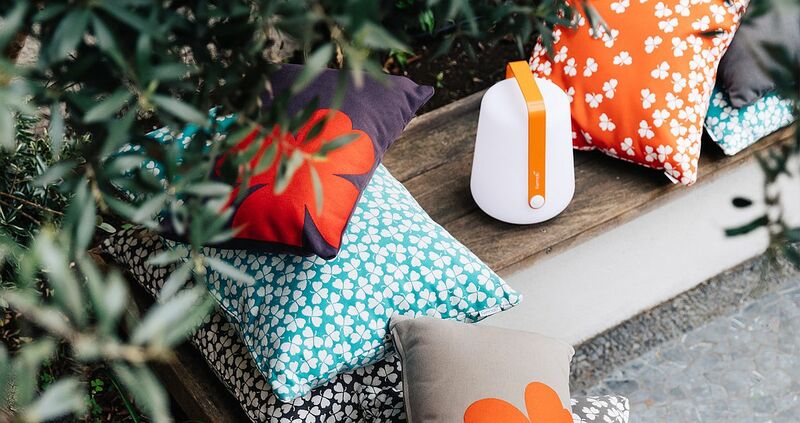 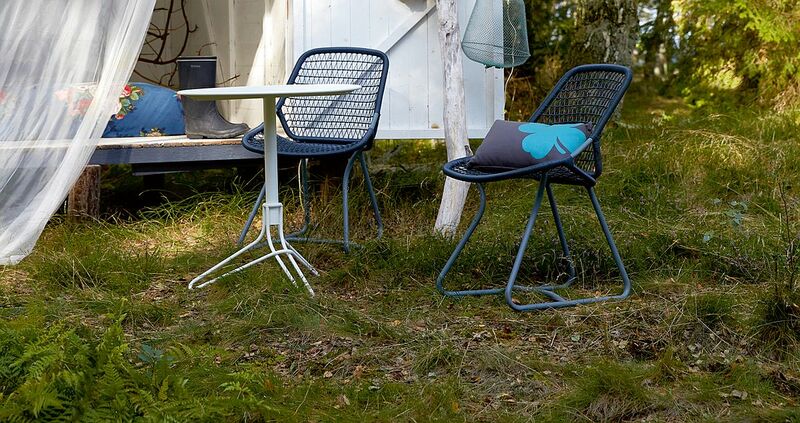 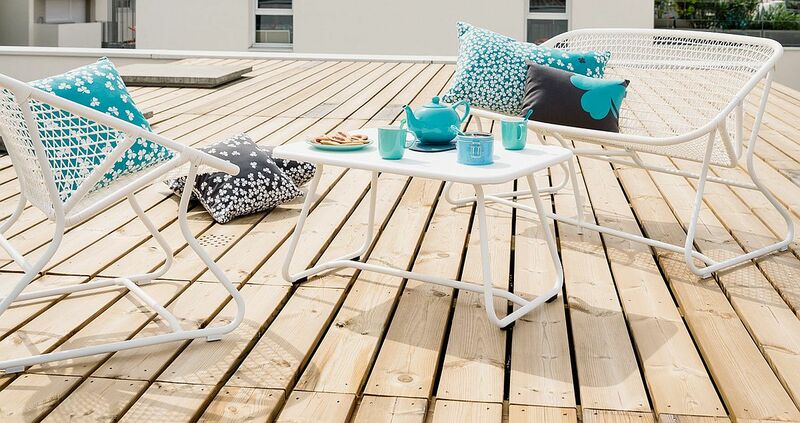 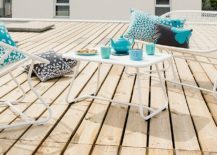 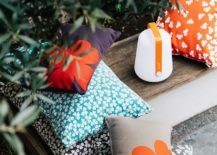 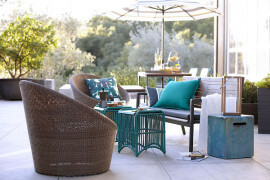 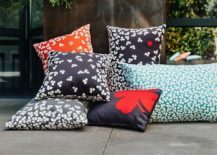 Of course, the true highlight of the series is the gorgeous clover-leaf-pattern on each of the cushions that brings vivacious charm to even the dullest outdoor hangout. 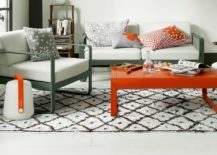 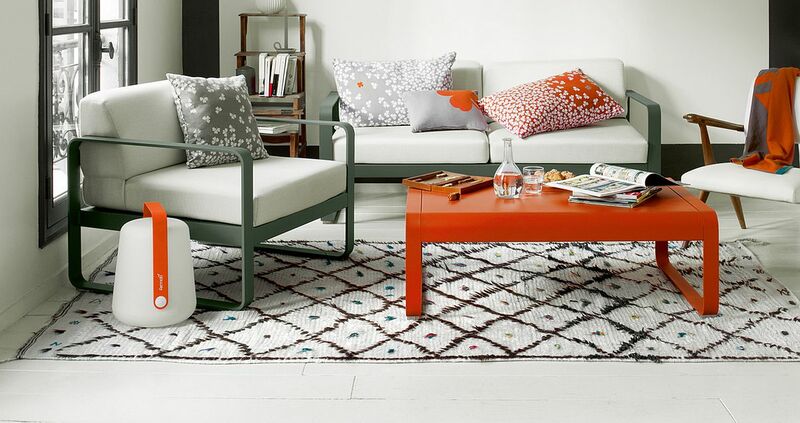 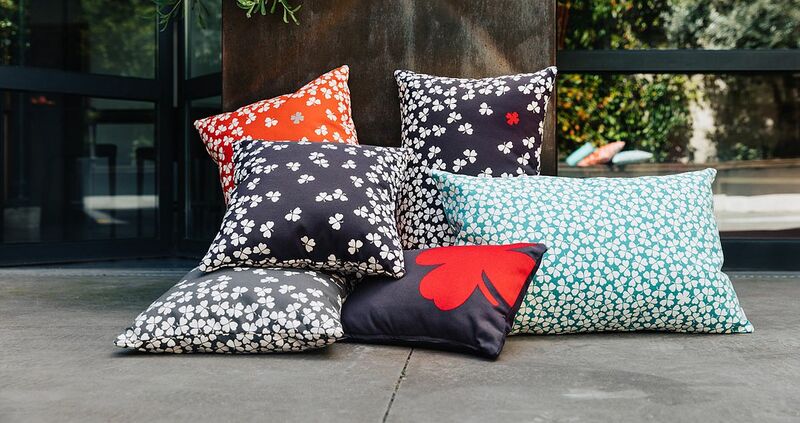 These striking cushions come in a wide range of sizes and hues and you can either choose to introduce bright accent colors like orange with the Trèfle or just stick to more neutral colors like gray and blue. 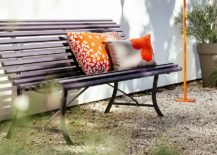 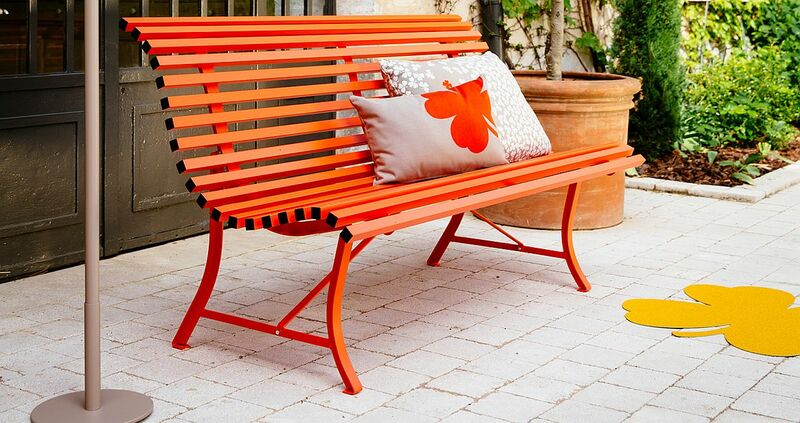 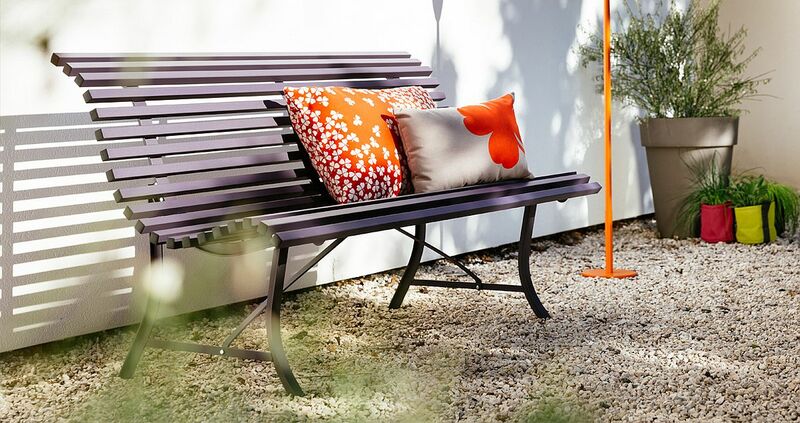 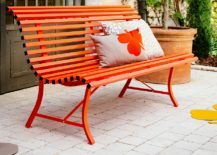 Combining them with charming outdoor benches, poolside loungers and comfortable chairs is the perfect way to put final touches on your dream backyard escape! 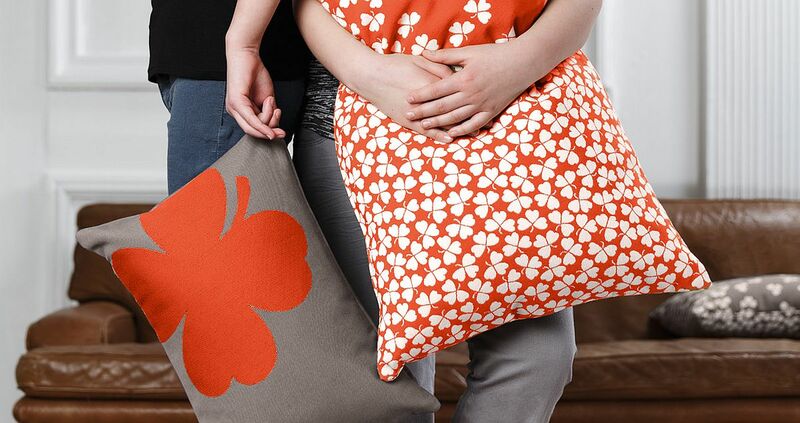 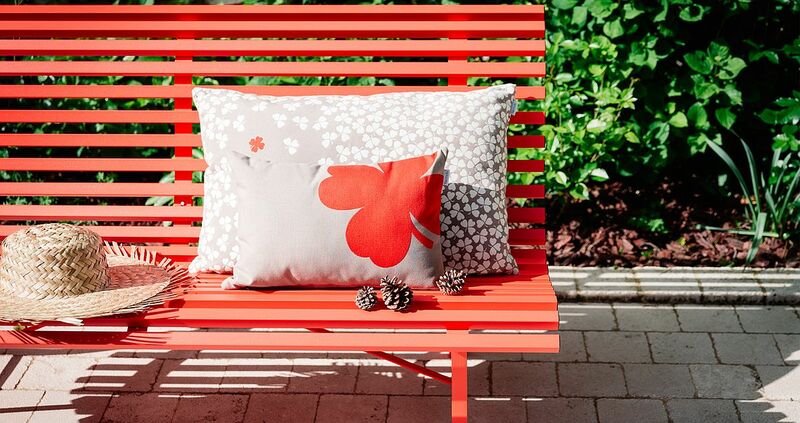 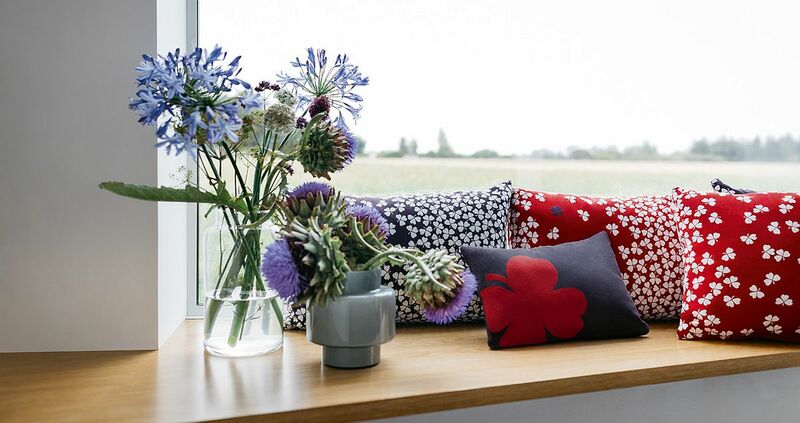 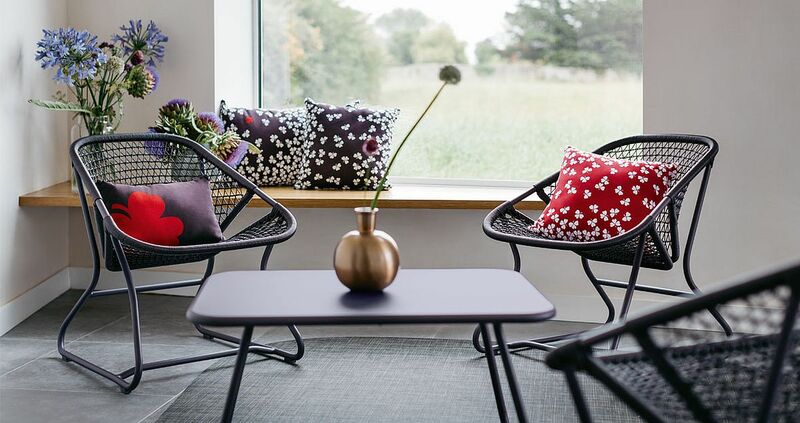 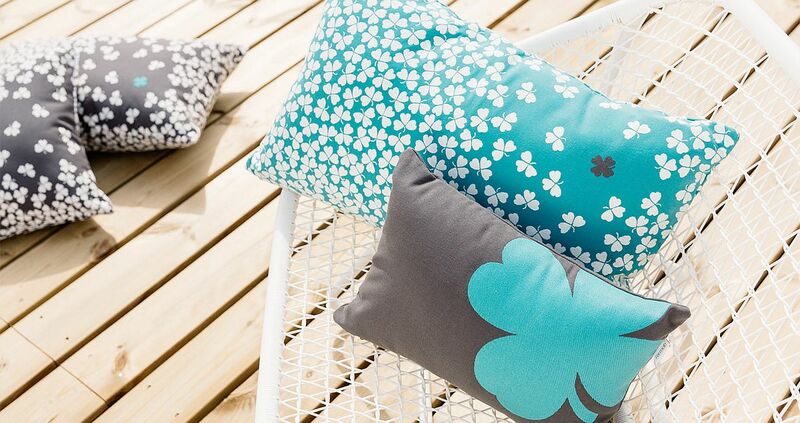 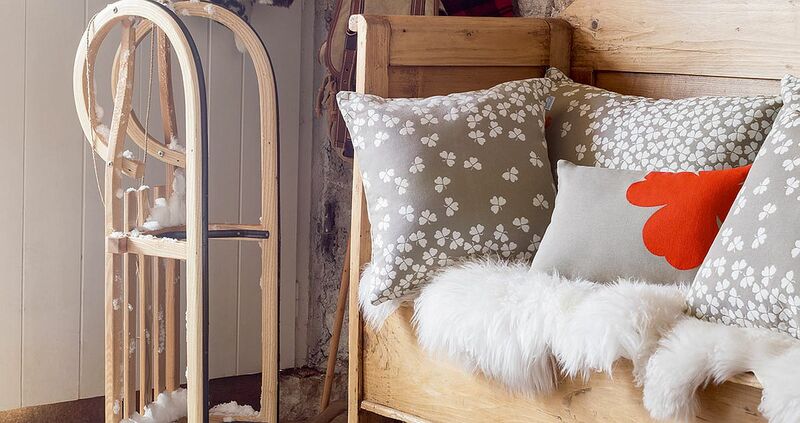 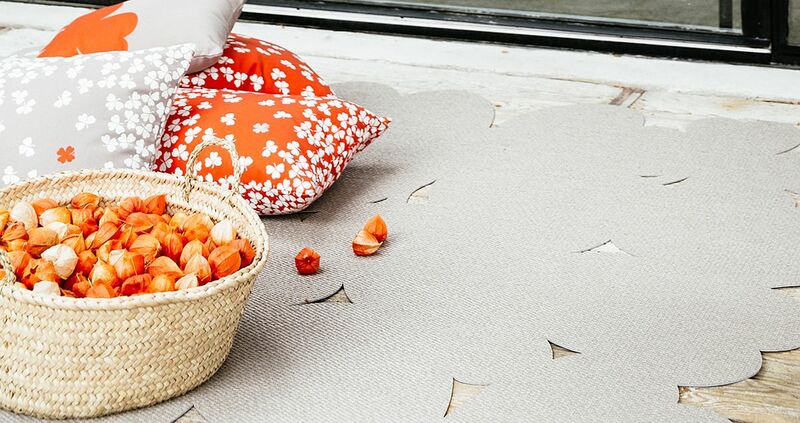 Finding the four-leafed clover is not too hard with these cushions! 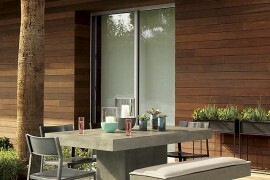 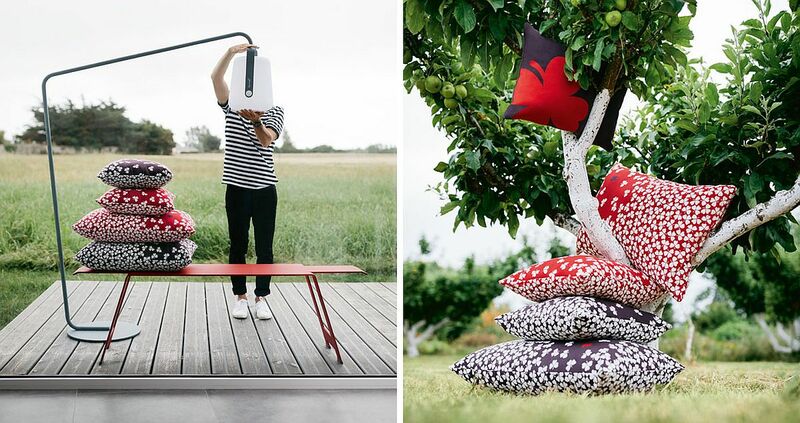 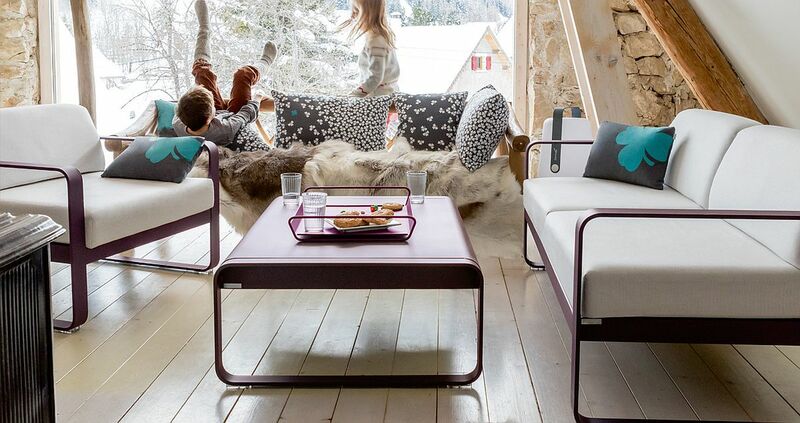 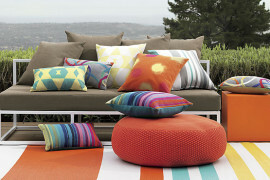 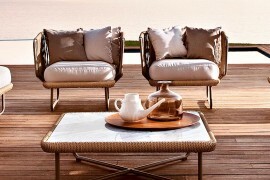 Trefle outdoor cushions also work well indoors!